My son travels a lot for his work. 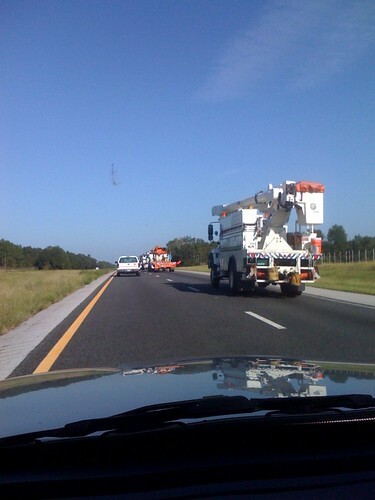 Using his Iphone he sent me this photo this morning of Florida Power and Light trucks traveling west on I-10 west of Tallahassee headed for Texas for relief work. As a resident of South Florida where we had four hurricanes in one year I can only say that it is amazing that we live in a country where the states can help each other out like this. I know that they are reimbursed for the expenses incurred but even so the fact that a day or two after a major storm like Ike these trucks can be on the road and on their way to help is fantastic.